Authentic, original campaign button. 2 1/4 inches in diameter. 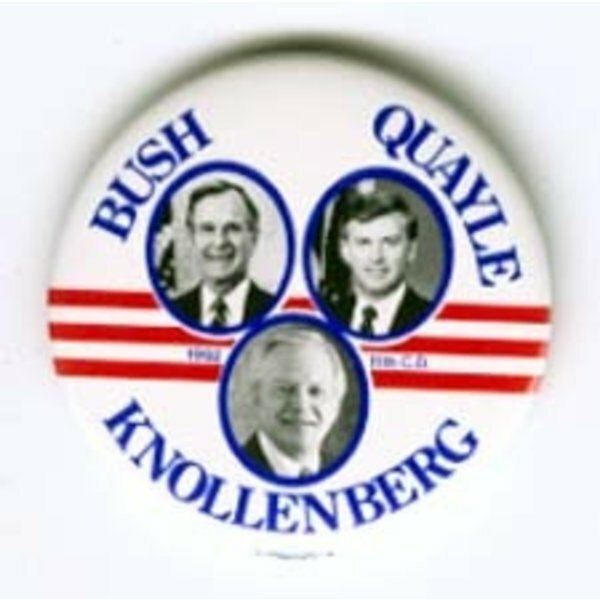 White and red stripes with photo background with blue lettering "Bush Quayle 1992 11th C.D. 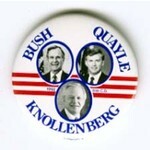 Knollenberg." All buttons are in good vintage condition.